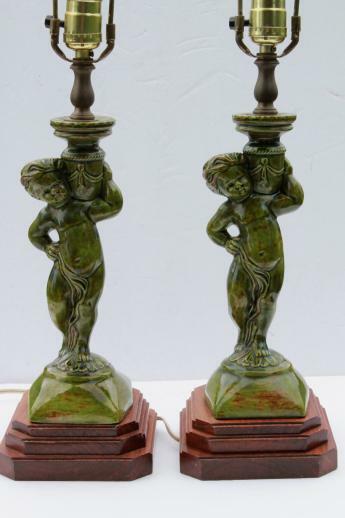 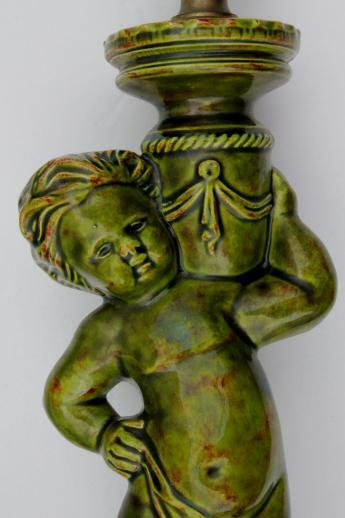 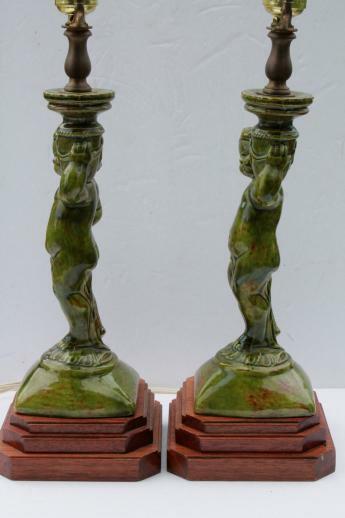 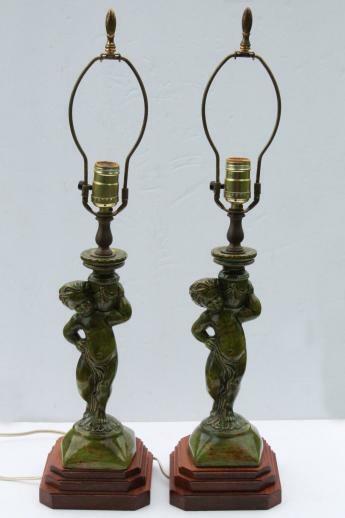 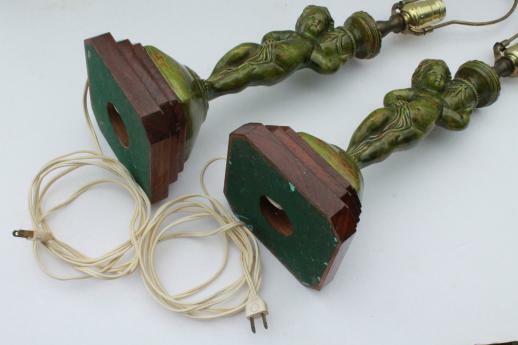 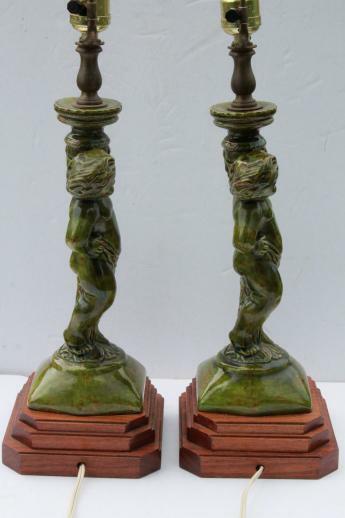 Pair of mid-century french country style table lamps, with ceramic statuary cherubs glazed in mossy green and brown. 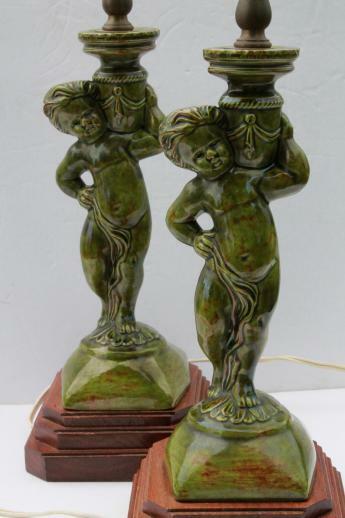 These are lovely! 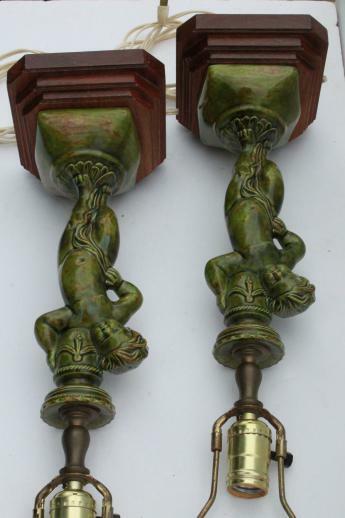 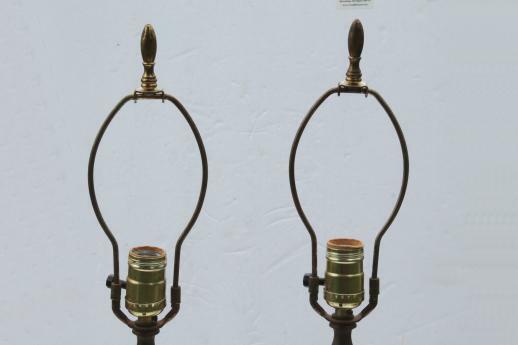 They're 18 1/2" tall to the top of the light bulb sockets, and 26" to the top of the finials. 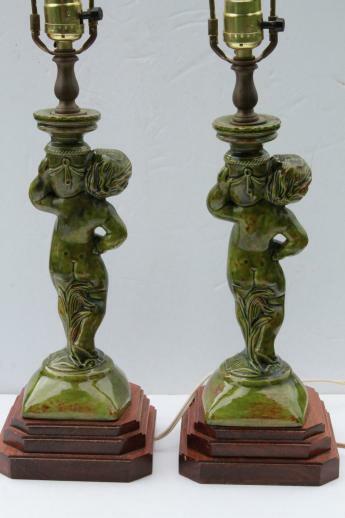 Both are in very nice condition without damage, working fine.